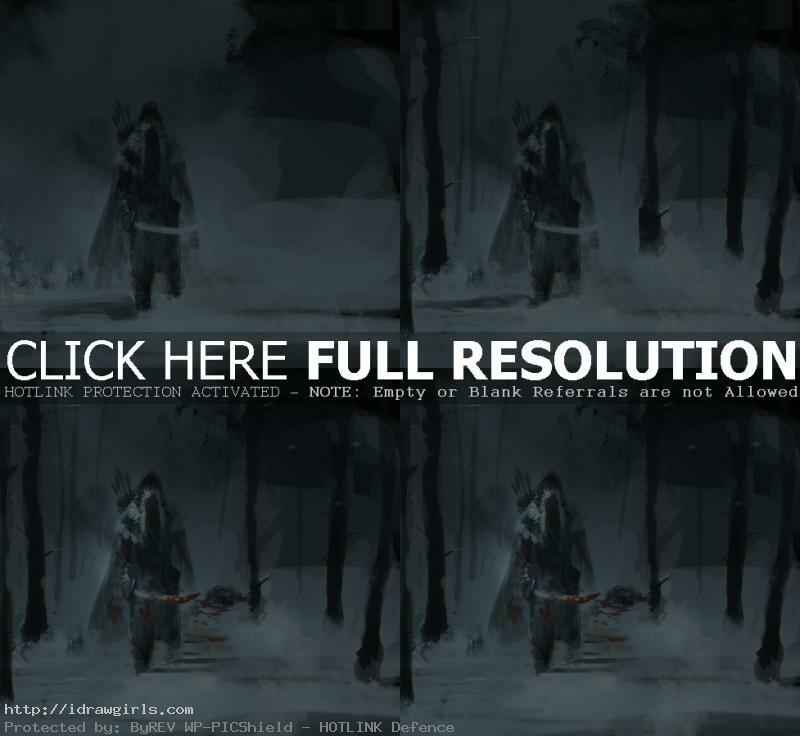 Digital painting tutorial winter assassin concept art. 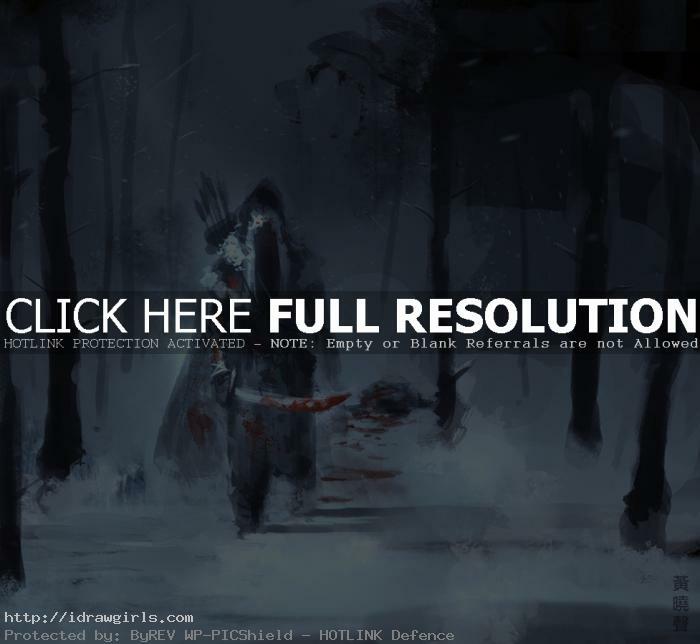 This tutorial shows you how I paint a speedpainting concept art of a Mongol warrior in winter snow storm in the forest. This time I take a slight different approach in the beginning. I use a couple of old painting I did as a base to get my color palette. You will find video tutorial on the top. You can scroll down further to see step by step images with instruction. There are advantage of having random shapes and color in the background. If you are not used to it, it could be distracting when painting. But once you get accustom to it, it could be extremely helpful and make your workflow a lot faster. This one I focus mainly on shapes and lighting. I also am limiting my palette into three major color. Dark grey, blue grey and red are my dominant color in this image. As for the samurai assassin character design itself, I use only one dominant color on it. 1) Shapes and general features. 3) Use value to create depth of field. Below are step by step process of winter assassin.